Turkey’s boldest response to the crisis in Syria came last week, when Prime Minister Erdogan called for the establishment of humanitarian aid corridors to help civilians there. But those hoping that Ankara’s aggressive rhetoric will soon be matched by equally assertive action will be sorely disappointed. If Turkey has one priority these days, it’s maintaining its soft power and popularity within the Middle East—and any sort of military intervention involving Turkish boots on the ground in Syria would directly undermine that. A recent survey by TESEV, an Istanbul-based think tank that measures perceptions of Turkey in the Middle East, encapsulates Ankara’s dilemma in Syria. According to the poll, Turkey is the Middle East’s favorite country: A whopping 78 percent of the people across the region say they like Turkey more than any other country. Iran, Ankara’s only political and military competitor in the region, gets 45 percent, while the United States receives a mere 33 percent. Turkey’s newfound popularity across the Middle East is its greatest foreign policy asset; for Foreign Minister Ahmet Davutoglu, it is key to restoring the country’s regional power status. But imagine what a Turkish occupation of Syria would do to Turkey’s popularity in the Arab world. A Turkish intervention, even if it removed Assad, would turn the Turks into occupiers in the eyes of the Syrian people, a trap that the United States experienced in Iraq. And Turkish military action in Syria would evoke the memory of Ottoman Turkish hegemony in the Middle East, creating further antagonism. There is simply no easy way for Turkey to kick out Assad by sheer military force if it hopes to continue being liked in the region. Ankara was able to avoid this problem in Libya by providing strong political support for change while maintaining a limited military role. 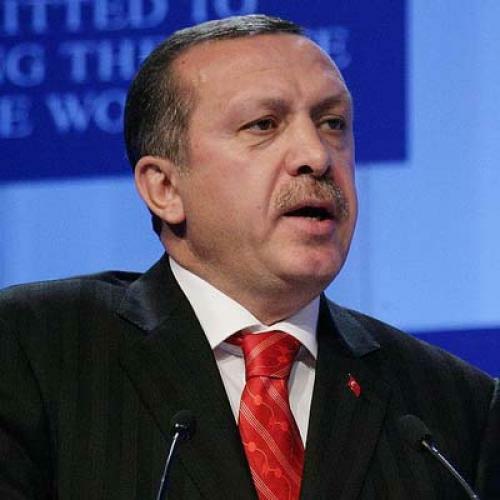 Turkey spoke out publicly against Qaddafi and provided unpublicized background support, while refusing to take a visible role in the NATO operation. In fact, this dual policy only added to Turkish popularity: According to the TESEV poll, “Turkey is seen as the country that has played the most positive role” in the Arab Spring, with 77 percent of the region’s people saying they like what Ankara has done so far. In Libya, that number is 93 percent. But any military intervention into Syria is unlikely to incur the same benefits. In fact, Turkey’s favorability has already taken a nosedive within Syria since the uprising began. In 2010, a record 93 percent of Syrians liked Turkey; in 2011, this number dropped to 44 percent, as Syrians wary of the uprising oppose what they see as Turkey’s interference. This is the case with Syrian Alawites, who make up around 15 percent of the population—and deeply oppose Ankara’s support of the rebellion. (In my recent visit to Antakya, a Turkish town on the Syrian border, I witnessed this first-hand when I ran into a pro-Assad demonstration attended by Turkish Arab Alawites, who chanted anti-Ankara and pro-Assad slogans.) A less extreme version of this reaction can be seen among the Christians, Druze, and upper-class Syrian families who are not yet convinced that the uprising will succeed and are therefore wary of Ankara’s intervention. Turkey faces additional resistance from the Kurds in Syria, who take issue with Turkey’s Kurdish policy, and would likely oppose Turkish intervention even if it would liberate them from Assad’s yoke.